Standard Horizon – Gear Up for Summer End User Rebate – Save $20-40! An easier way to do business with rf Services. 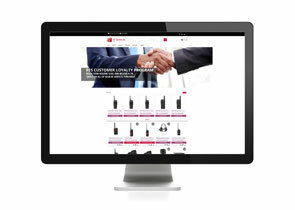 Our new website design is an intuitive and user-friendly tool for our customers on any device at any time. We encourage our customers to use it for up-to-date and accurate sales-related information such as pricing, brochures, promotions, announcements and more. We would like to thank everyone who has visited the website and placed orders. Currently, over 5,000 orders have been placed online. We award a special prize for every 1,000 orders placed on the website. We hope you find products your company orders regularly so that rf Services can be your source for wireless communications. Buying from fewer vendors helps your bottom line and adds convenience to running your business. 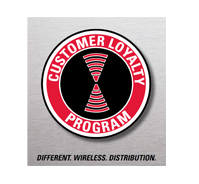 Plus, we are a distributor that rewards you for doing business with us through our Customer Loyalty Program. Many new items have been added online recently. 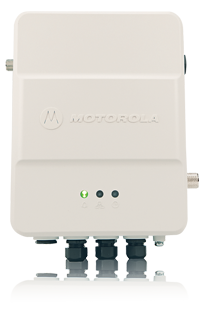 Motorola Commercial Tier radios, amplifiers, antenna mounts, silicone radio cases, more coaxial cable options are all items added in the last few months. Be sure to check out our clearance items page. You will find radio products, antennas, lights and much more at extremely low prices! Minitor VI pagers are being offered with an end user rebate for Q3 2018. End users can earn up to a $40 rebate for each pager purchased between July 1 and September 30, 2018. Rebate funds will come directly from UCC Wireless. Download the rebate redemption form here. Along with the K-12 end user rebate promotion, we are also offering a reseller promotion on certain portable radio models that are valid throughout Q3 2018. K-12 schools can take advantage of 0% financing for 12 months or 3.1% financing for 36 months on radios and systems with no minimum purchase required. Financing offers. 0% financing for 12 months or 3.1% financing for 36 months. Receive our best price on non-display CP185 MDC signaling models. Purchase the non-display MDC signaling models of the CP185 at a 25% discount off the 150+ reseller price for any quantity ordered, while supplies last. If programming software (CPS) is needed, the cost of this file will be reimbursed to the reseller upon a qualifying purchase of these radios. Buy now and save on BPR40 and CP200d. Purchase the BPR40 and CP200d at an additional 20% discount after volume discounts (if applicable). If programming software (CPS) is needed for the BPR40, the cost of this file will be reimbursed to the reseller upon a qualifying purchase of these radios. 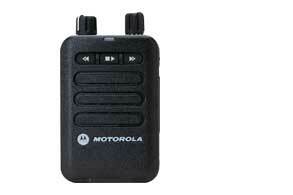 We still have inventory on a few models of radios and accessories. All other items in the catalog will now ship as Motorola-branded products. Click below for a list of Vertex Standard-branded items we still have available. Effective July 16, 2018, the SLR5700 repeater will have a price increase. 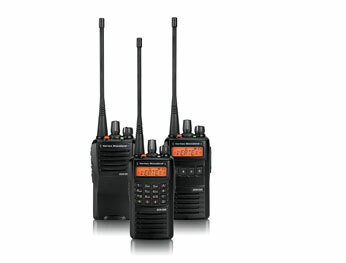 Previous MSRP was $3,100 for VHF and $3,200 for UHF. New MSRP price for VHF is $3,565 and UHF is $3,680. Using the SLR1000 repeater, you can easily extend the range of your network through dead zones and across remote locations, so everyone’s within reach. Deploy the SLR1000 indoors or out—it’s IP65-rated for dust and water protection. The compact size gives you more installation options. The low power, fanless design uses less space and energy. The SLR1000 easily mounts on walls, poles or in a transportable case. It works with trunking or conventional systems to support voice and data. For conventional systems, use the Extended Range Direct Mode and expand your range without having to purchase additional frequencies. Samlex custom power supplies are now in stock. The popular SEC-1212 and SEC-1223 power supplies are in stock with custom hoods/cabinets for Motorola, Vertex Standard (legacy models) and Kenwood mobile radios. Click here to learn more about the Samlex America product offering. We will be adding these products to our website very soon. Gear Up for Summer End User Rebate - Save $20-40! This end user rebate offer is valid on products purchased between 1/1/18 and 7/31/18. To redeem the rebate, download the form below and check the box next to the item purchased. Submit the form with the additional paperwork required. 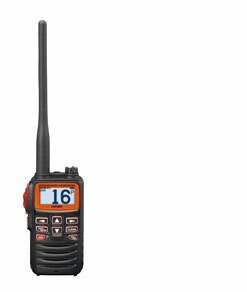 Standard Horizon just introduced a new 6W ultra-compact marine VHF handheld this week. The HX40 is now available to ship! We invite you to register with us to participate in this rebate program offered by rf Services. Call us to register for the program if you haven’t already and to get your company’s loyalty goal for 2018.